As an environment-friendly company, you bring compostable and biodegradable products onto the market. But how do you gain credibility when there are so many players, both reliable and unreliable? TÜV AUSTRIA's OK environment product verification marks are the only ones of their kind to offer a customized certification label for each biodegradation environment. These labels both consistently complement each and are extensible. See below for a brief description of our marks. Because of the increased environmental awareness among customers, there is a growing market for products based on renewable raw materials. And this environmentally-conscious motivation on the part of customers is precisely the reason why there is a need for an independent, high-quality guarantee of the renewability of raw materials and products. The “OK biobased” and NEN BIO-BASED CONTENT certifications meet that need perfectly. 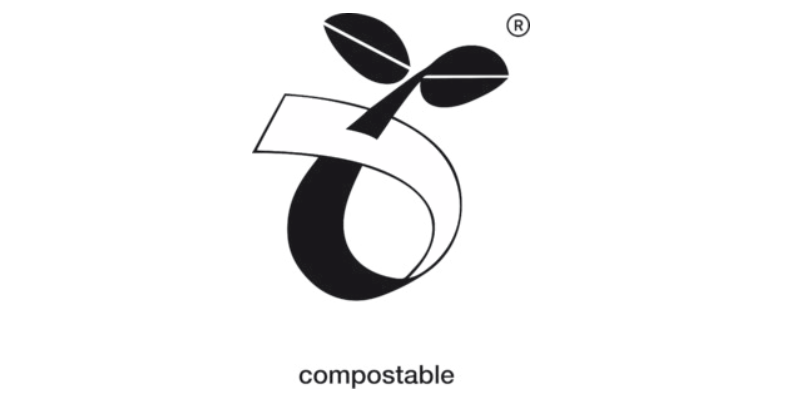 Packaging or products bearing the OK compost INDUSTRIAL label are guaranteed to be biodegradable in an industrial composting plant. This applies to all of their components, inks and additives. The sole reference point for the certification program is the harmonized EN 13432: 2000 standard: in any event, any product bearing the OK compost logo complies with the requirements of the EU Packaging Directive ( 94/62/EEC). Unlike an LCA (Life Cycle Assessment), the investigation method behind the OK biobased certification is very simple and the exact value can be precisely and scientifically measured by the C14 method and calculated. This makes checks and re-checks very transparent and also allows “apples to be compared with apples” with the greatest of ease. On account of the comparatively small volume of waste involved, the temperature in a garden compost heap is clearly lower and less constant than in an industrial composting environment. Composting in the garden is therefore a more difficult, slower-paced process. 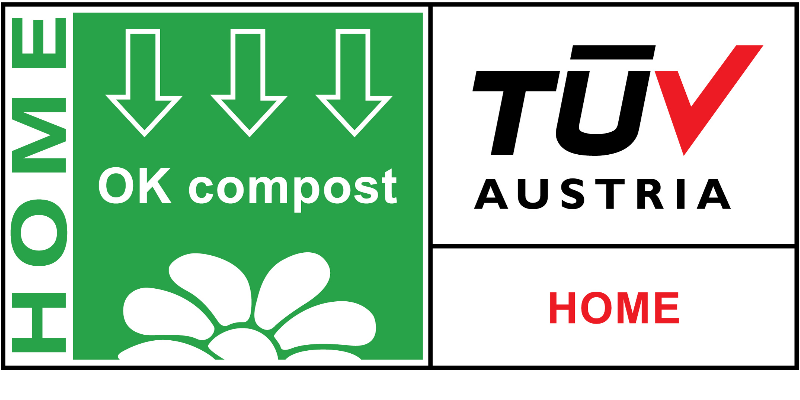 TÜV AUSTRIA’s innovative answer to this challenge is the OK compost HOME certification system to guarantee complete biodegradability in the light of specific requirements, even in your garden compost heap. 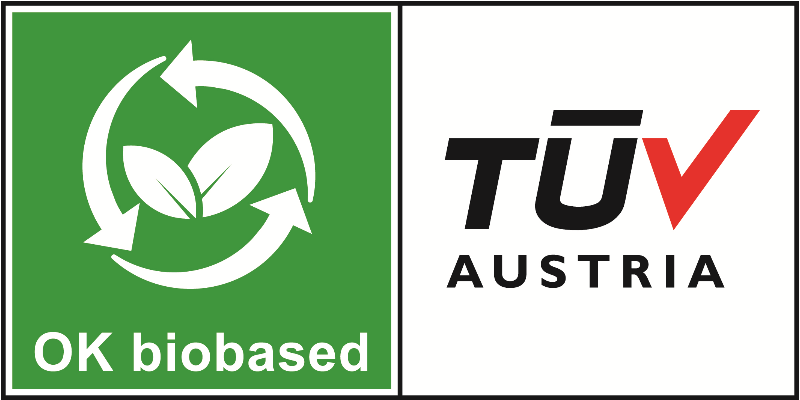 TÜV AUSTRIA (formerly Vinçotte) is a certification body authorized by European Bioplastics and may therefore award the Seedling logo to products that are in compliance with EN 13432. 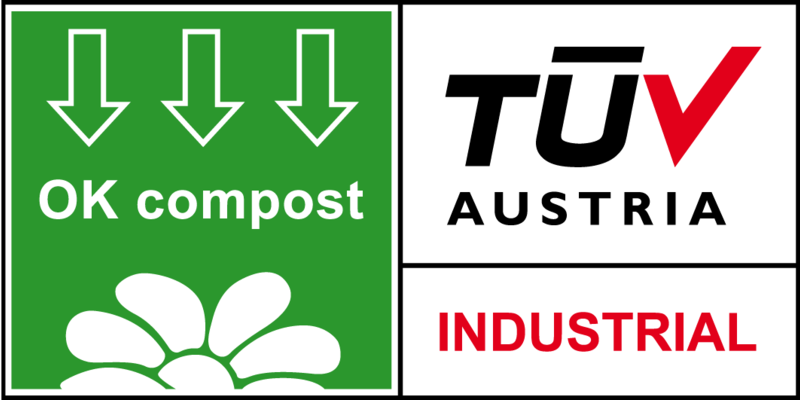 By awarding both the OK compost and the Seedling logo, TÜV AUSTRIA’s certificate holders are able to have their compostable products recognized throughout the entire European market. In view of the fact that the majority of marine debris is land-based, marine biodegradability is an added value to any product or packaging, regardless of where it is consumed. There will always be a chance that it will eventually end up at sea. Any supplier who invests in adding this functionality to his product or packaging should have the opportunity of having this information verified according to international standards – though without encouraging the consumer to litter at sea or anywhere else. Biodegradability in the soil offers huge benefits for agricultural and horticultural products because they can be left to break down in situ after use. 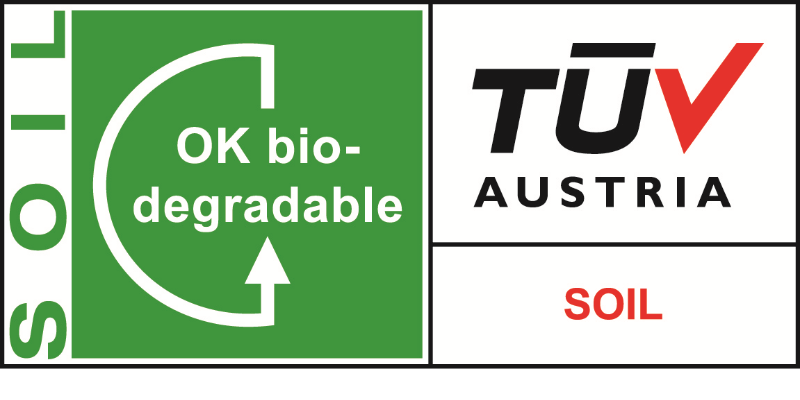 The OK biodegradable SOIL label guarantees that a product is completely biodegradable in the soil with no adverse effects on the environment. Products certified for OK Biodegradable WATER guarantee biodegradation in a natural, freshwater environment, and thus make a substantial contribution to the reduction of waste in rivers, lakes or any natural freshwater. Please note that this does not automatically guarantee biodegradation in marine waters. 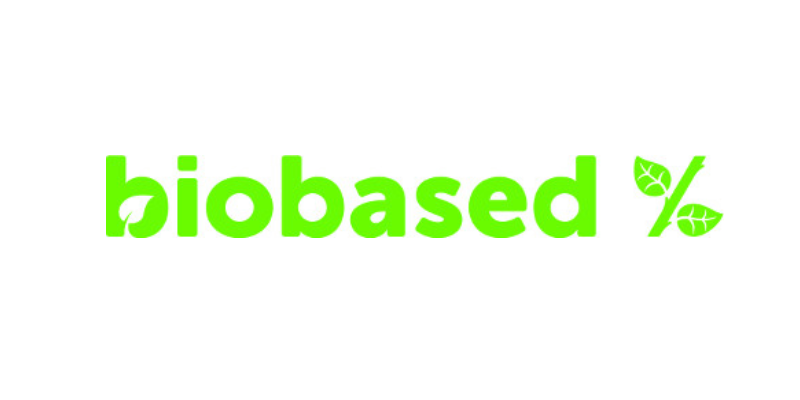 This certification system is based on the European standard EN 16785-1, which enables an independent assessment of claims related to the bio-based content of products. Certification lets you stand out from the crowd of self-claimers. And it ensures fair competition between trustworthy players who, incidentally, are largely in support of our certification marks. Moreover, although you have nothing to hide, you would also prefer your precise product composition not to be disclosed or leaked. You want the control body to have a policy of treating all data 100% confidentially.